Customized Antenna Design is a service for product owner who want to use the antenna in their wireless products. We can provide optimal antenna solution, include embedded / external dipole antenna and outdoor antenna. Aristotle has well experienced mechanical background engineer team. Our mechanical and ID engineers can support customer the ID and mechanical tooling design to meet customer requirements. 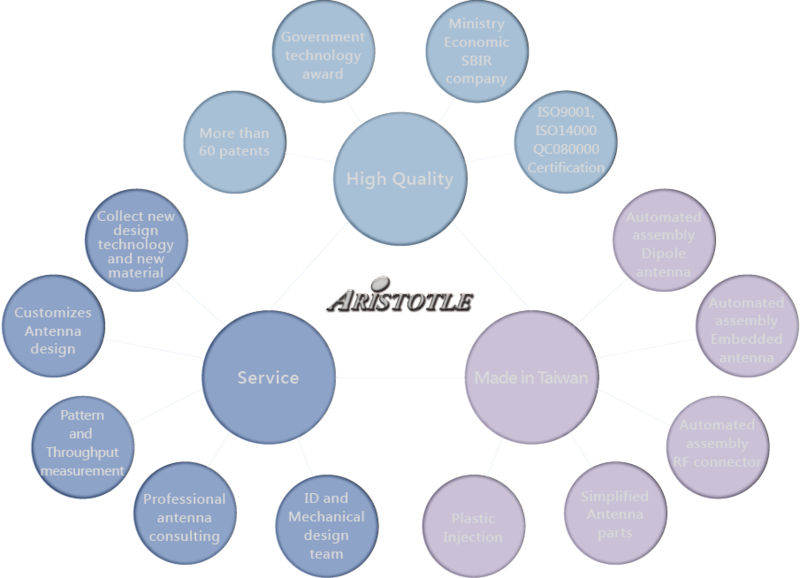 Aristotle can help customer measure the 2D / 3D antenna pattern. ©2013 ARISTOTLE Design All Rights Reserved.Web Design By Finpo.